Mixing henna involves both science and art. The basic natural chemistry of the plants must be respected. Learn here how to get the results you want. You cannot box up the powders together, pour boiling water on them and expect good results; the molecules will not play nice together. 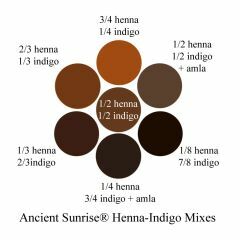 This chapter discusses henna, indigo, and cassia, ( lawsonia inermis , indigofera tinctoria , and cassia obovata ) and the chemistry of each of these dye plants. 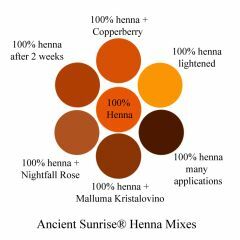 Understanding the botany of these plants will help you understand how to get the best results from your henna hair dye. 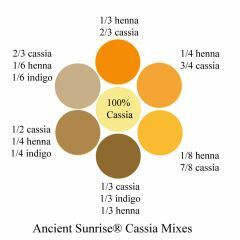 This chapter discusses the necessary chemistry of mixing henna and cassia with a mildly acidic liquid. This chapter discusses several sources of fruit acids, and how each has a different effect on henna.